This book is fantastic! 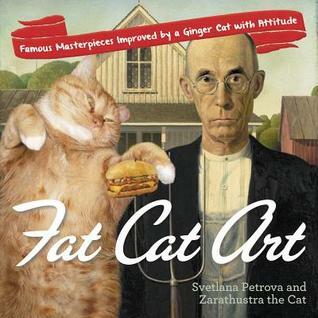 I love the way Petrova incorporates Zarathustra, her ginormous ginger tabby, into the famous works of art. And Zarathustra's commentary joins all of the 'true' paintings with all of the snark you'd expect from a cat. This is definitely a book I'm thrilled to add to my collection of cat-centric books.